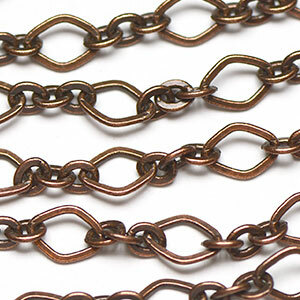 Chain has a nice weight to it and comfy to wear. 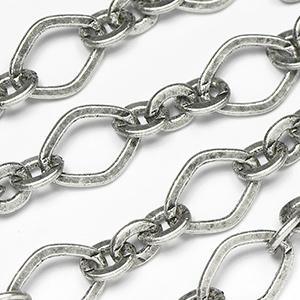 Rounded Diamond Links mixed with 3 smaller links makes this an easy chain to work with your creativity. 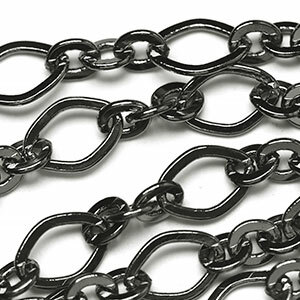 Heavy chain suitable for loading up lots of beads and charms. 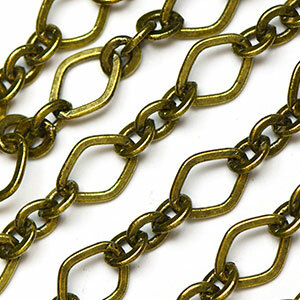 A clean antiqued finishes over brass and Expertly plated in USA!